Windows (especially Windows 10) comes with many built-in programs like Groove Music, Calculator, Calendar, Mail, Weather. However, not all of these apps are really helpful. For example, what’s the last time you’ve launched the Groove Music app? Or checked the MSN Weather? Or used native Microsoft mail and messaging programs? 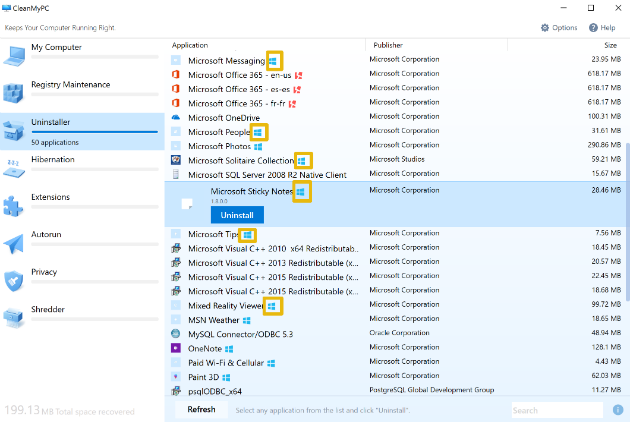 You may not use some built-in apps regularly, but you still have them on your computer or in your start menu. That is not quite a productive way to use the resources of your computer. In this case, uninstallation of unneeded apps would be the most reasonable decision. Before we go on with uninstalling apps, let’s answer several questions that might bother you. Is uninstallation of Windows Store apps risky in any way? No. You do not risk when you uninstall Windows Store programs because they are not connected with any vital operating system files or sensitive data. Thus, the uninstallation of a Windows Store app is safe..
What’s the difference between uninstalling a Win Store app and any other program? Unlike third-party programs, Windows Store apps are installed by default and do not include built-in uninstallation mechanisms. It means that removing these "native" Windows applications is not an easy task that might require some time and effort to find an appropriate cleanup tool. Is uninstallation worth the effort? - Start menu that is easy to navigate: Getting rid of unnecessary apps simplifies your access to valuable apps. - More of free disk space: Windows apps are lightweight if taken separately, but together they may occupy a lot of space on your drive. 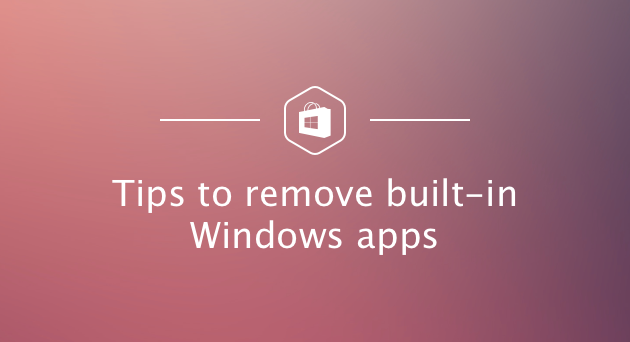 There are several ways to uninstall built-in Windows apps, each having its pros and cons. Let’s take a look and choose the best one. Go to Start menu - Settings. Find the app you want to remove in the list of Apps and Features. Cons: Works only for some Windows apps, while the rest of them just lacks the Uninstall option. Pros: This way allows to remove more built-in programs than the Windows uninstallation option. 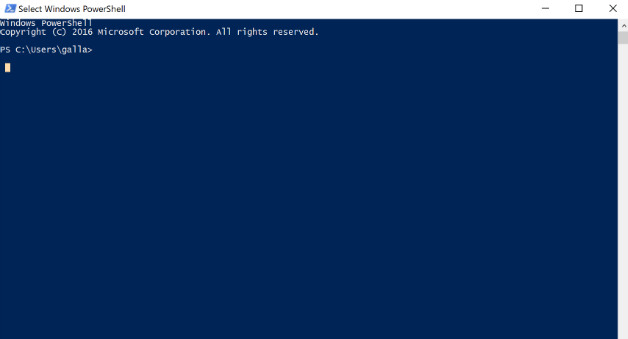 Using a specific command, you can also get a list of all Windows Store apps on your computer. Cons: Working with a console and scripting language might be difficult to deal with if you've never done this earlier. As a Windows user, you are probably more familiar with apps that offer convenient interface. CleanMyPC makes it easy to remove any Windows Store program. All you have to do is launch the program and go to the Uninstall module. It provides a list of all apps installed on your computer. Windows’ built-in apps are marked with the corresponding label so that you could easily detect them. You need to choose the program you want to remove, click the Uninstall button, and then confirm your decision. The application will be removed automatically along with all its files. CleanMyPC makes sure the program is removed completely and no leftovers remain on the hard drive. Pros: Uninstalling Windows Store programs is absolutely free. The interface is really user-friendly. You do not need specific knowledge and skills to go through the process. The uninstallation is pretty fast as long as Windows’ built-in apps are easy for CleanMyPC to trace and remove. The module copes with the task perfectly and leaves no remnants after the uninstallation. Cons: Try out the tool and see if you can find any. Download CleanMyPC using the button below and uninstall any built-in Windows program. You’ll see that Uninstaller offers the best way to remove the unwanted programs. With the free trial version of CleanMyPC, you can delete any number of default Windows apps.